The Paris Auto Show 2018 may have been devoid of big vehicle launches, but that doesn't mean it was boring. We saw a mix of cool (the Peugeot E-Legend), weird (Renault's EZ-ULTIMO), quick (Infiniti's Project Black S) and long-range (the Kia e-Niro). 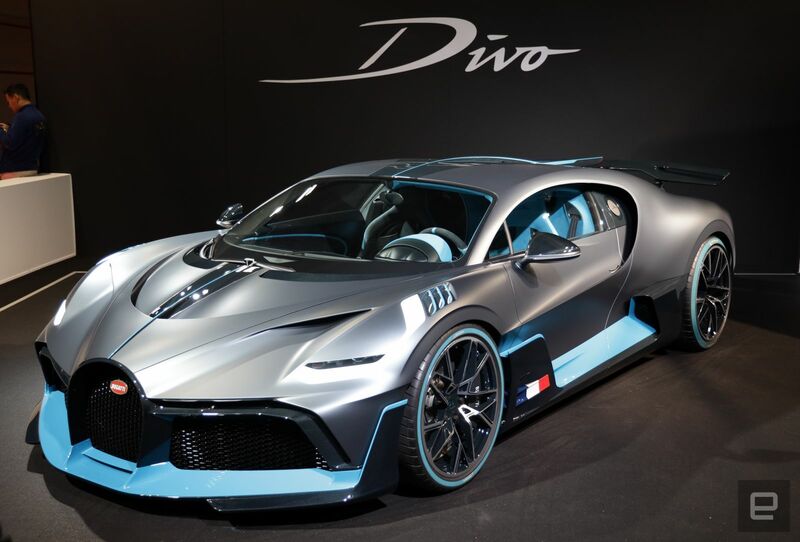 Other vehicles appeared in public for the first time, like Bugatti's 1,500 horsepower, $5.8 million, 236 mph W16 Divo, and Mercedes EQC 400 SUV launching in 2020. 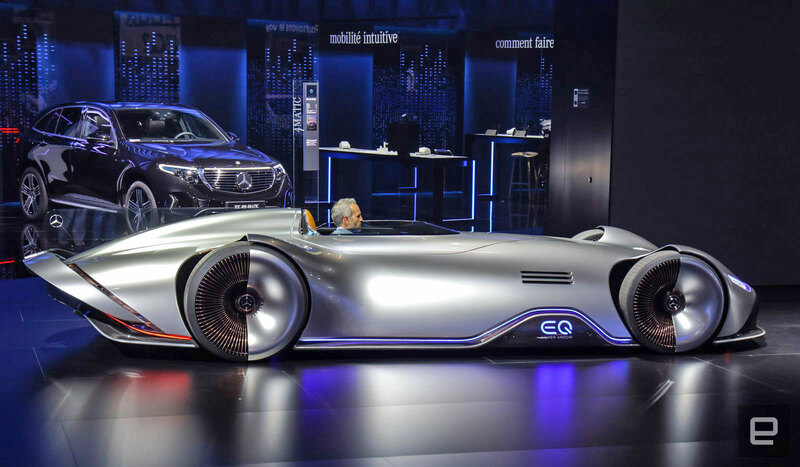 Mercedes incredible electric supercar, the EQ Silver Arrow concept (above), also made its car show debut. Here's a petite sampling of the most interesting cars from the show. Infiniti's dual-hybrid Project Black S might be a hybrid vehicle, but it's not for tree-huggers. Rather, the electrons are put to use in the service of speed, either by reducing turbo lag or adding an extra 120kW of power to the gasoline-powered drivetrain. It can make a total of 563 horsepower, enough to kick it to 100 km/h (62 mph) from a standstill in under 4 seconds and hit over 155 mph. 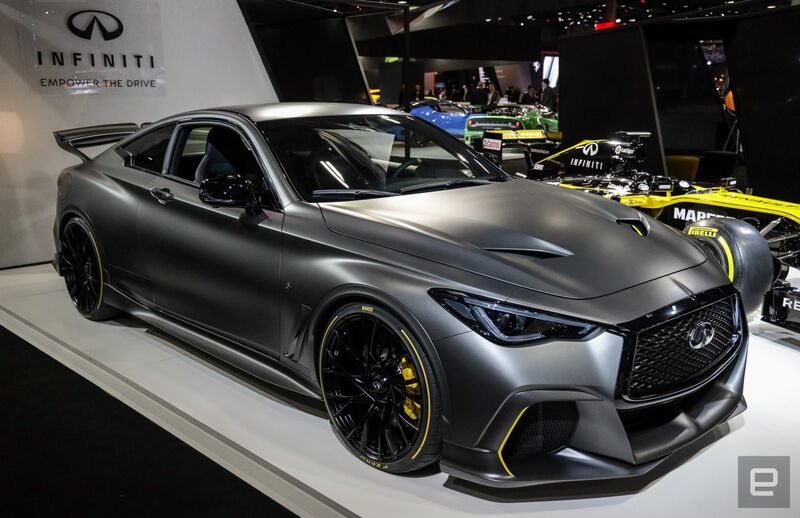 For now, it's just a prototype, but Infiniti plans to test it on the track and if all goes well, might release a street-legal version down the road. 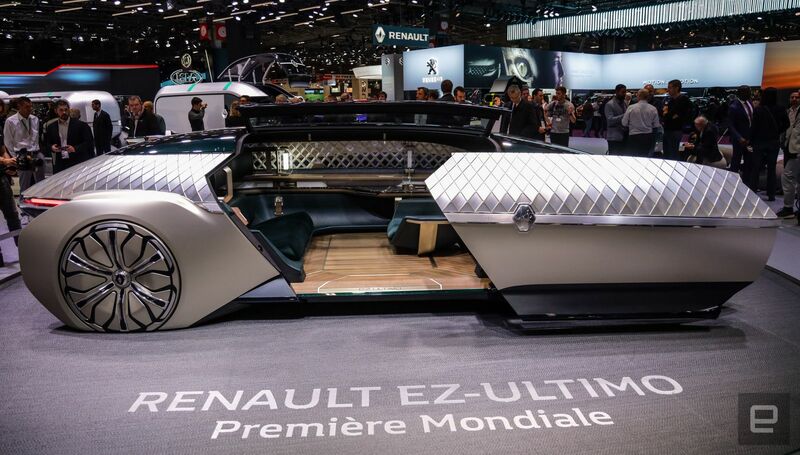 After unveiling the extremely strange EZ-GO and EZ-PRO vehicles, Renault finished its trilogy of autonomous urban mobility concept vehicles with the EZ-ULTIMO. Rather than offering transportation and delivery for the masses, it's a form of upscale transport that could carry more well-heeled folks on highway and city roads to luxury hotels or a fancy dinner. The interior looks more like a luxury Parisian apartment than a vehicle interior, and a large retractable door and moving seat makes it a lot easier to board, too. It will never be built, but gives us a potential peek a future without individual vehicle ownership. If a regular $3 million Chiron is beneath your dignity, Bugatti flaunted the $5.8 million Divo for the first time. With 1,500 horsepower on tap from the W16 motor, it's actually a bit slower than the 261 mph Chiron, reportedly because speed is limited to a mere 236 mph. In exchange, however, the Divo is eight seconds faster than the Chiron around the 3.85-mile Nardo handling circuit thanks to a lighter weight and stiffer suspension. Only 40 will be built, but you can't be in that exclusive company because the Divo sold out immediately after it launched. 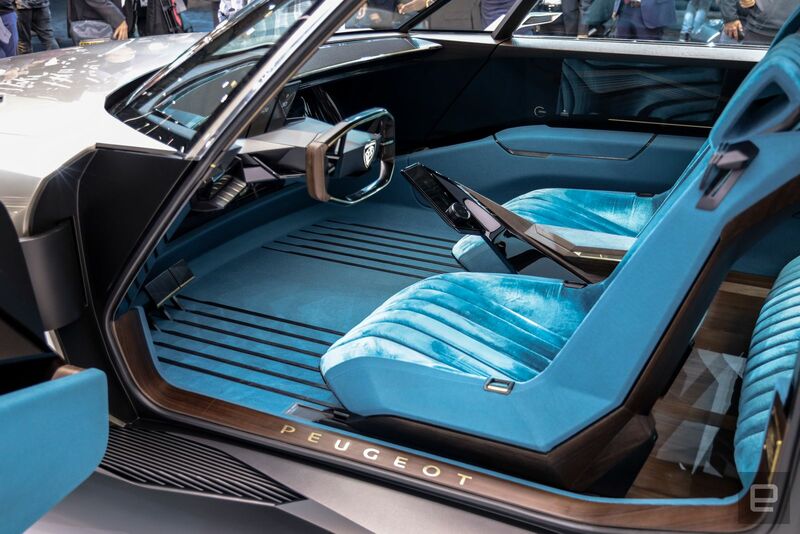 With the E-Legend, Peugeot created a vehicle that invokes French car nostalgia while also looking like it came from the future. For instance, the crushed blue velvet interior looks a lot like one of Elvis Presley's outfits. At the same time, it rocks 16 screens on the doors, sun visors and floor, and the wood-adorned steering wheel retracts into the dashboard, so you can either let the robot drive or take control yourself. You'll mostly want to do the latter, as the 456 horsepower electric motor can push it to 62 mph in 4 seconds and go for 373 miles between charges. 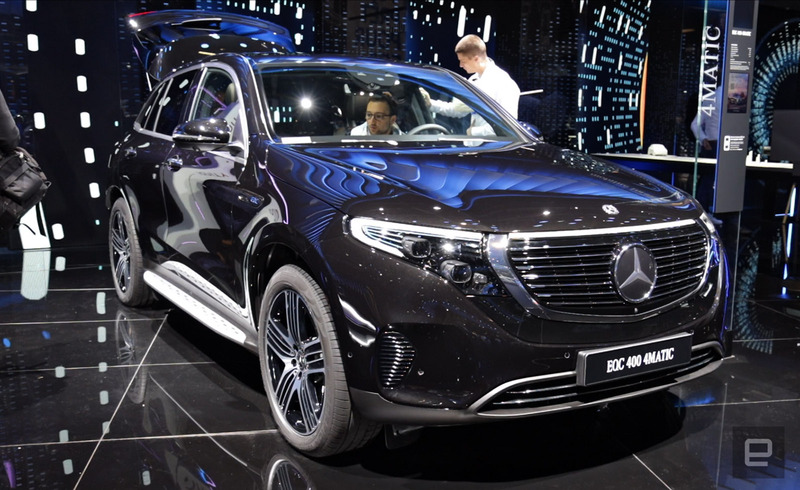 Mercedes unveiled the EQC 400 electric SUV last month, but its first public appearance came in Paris. Powered by a 402 horsepower electric motor, it will be able to run 279 miles (by the extremely generous New European Driving Cycle, or NEDC figures) thanks to an 80kWh battery pack. I took a seat in the vehicle and it's as luxurious and techy (with dual 10.25-inch displays) as you'd expect. It'll also go like heck, accelerating to 60 mph in 4.9 seconds. It'll be awhile before we can test that claim, however, as the EQC won't arrive in the US until the year 2020. Audi's upcoming E-Tron is exciting because it's an EV you'll soon be able to buy, but visually it's ... an SUV. 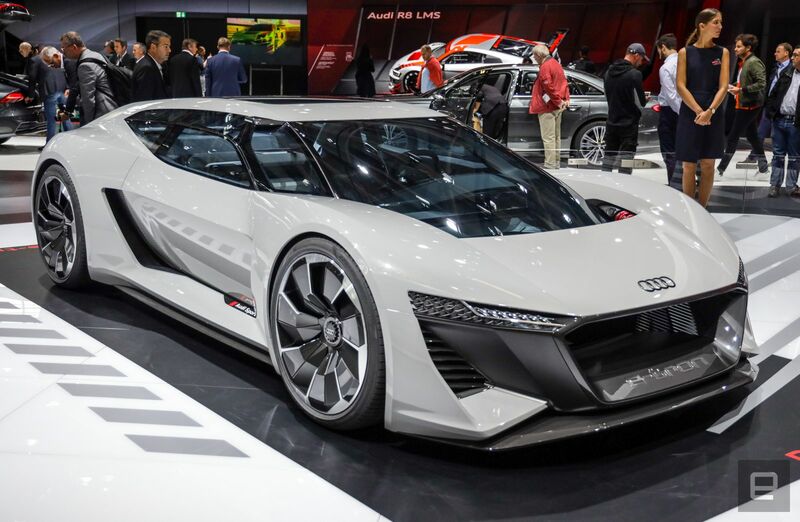 On the other hand, the E-Tron PB 18 concept supercar is something to behold. It'll not only hit 60 mph in under two seconds and go 310 miles on a charge, it has a hatchback that'll carry your golf clubs and let you get groceries. It's too futuristic to ever go into production, particularly in the interior, but much of the technology will arrive to future Audi EVs.